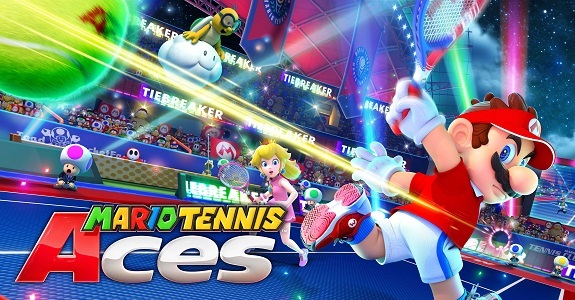 During the latest Nintendo Investor Briefing, Shuntaro Furukawa (the new president of the company) talked at great lengths about the Nintendo Switch, including its evergreen titles and Mario Tennis Aces! There’s already several such titles available on Nintendo Switch: Super Mario Odyssey, Mario Kart 8 Deluxe, The Legend of Zelda: Breath of the Wild, and Splatoon 2. What those games have in common is that they were all released last year, yet they’re still sustaining their sales momentum. The graph below shows the combined sell-through in Japan, the United States and Europe this Fiscal Year. As you can see, sales are still growing without a major decline. 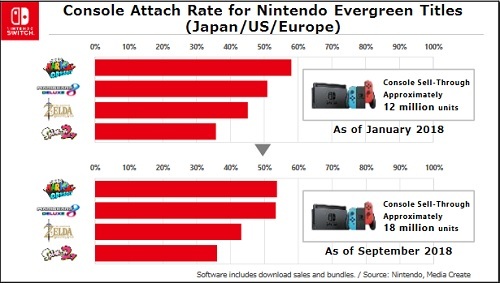 As you can see for yourself, there was no significant change in the attach rate for all games except Super Mario Odyssey, which saw a slight drop (most likely due to the bundles including this game being phased out). 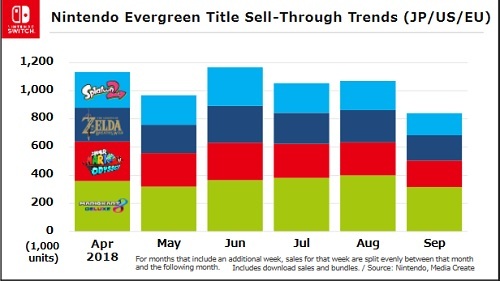 Even though the console sold roughly 6 million units between January and September, the number of players buying the 4 evergreen titles remains pretty high. This shows that they are selling at the same pace as the console, which is why Nintendo expects them to keep selling as long as the Nintendo Switch itself keeps selling. And on June 22nd, the latest evergreen title was released: Mario Tennis Aces. Shuntaro Furukawa believes it’s has “particular importance” among all the games released during the first half of the Fiscal Year, since it’s one of the games that allows players to enjoy the “anytime, anywhere, with anyone” (the mantra of the Nintendo Switch). 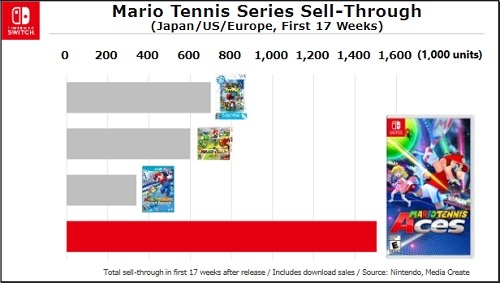 As you can see, Mario Tennis Aces is outselling the previous Mario Tennis games (NEW PLAY CONTROL! Mario Power Tennis, Mario Tennis Open, and Mario Tennis Ultra Smash) by a wide margin. For Nintendo, this is pretty good news, because this new evergreen rounds out its Software line-up, and helps stabilize the foundations of the Nintendo Switch business.